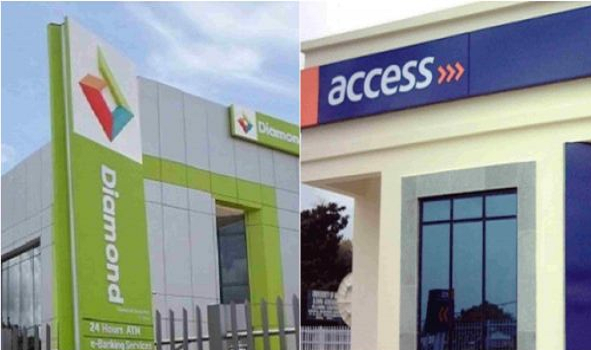 Diamond bank debunks Access Bank acquisition rumors – Diamond bank plc has denied a media report that says Access bank is in talks with them on a possible acquisition. Reacting to the report, Diamond bank issued a memo describing the report as false. “The attention of Diamond Bank Plc (“the Bank”) has been drawn to the rumor in the media stating that the Bank is purportedly in discussions with Access Bank Plc to acquire the Bank”. “We wish to state categorically that the Bank is not in discussions with any financial institution at the moment on any form of merger or acquisition”. “We trust that the above clarifies the position of the Bank with regards to the rumor on the various media platforms”. There is never a rumour without a pinch of truth in it. Let keep watching. Thats Their Own Piece Of Cake. Let Me Go And Eat Mine. That is very proper. Many people are fond of spreading fake news. There no smoke without fire, things can only remain a secret or rumor for just a matter of time. Media should investigate a report before given the information to the public. Bank debunking another bank isn’t a big deal. Nigerians just like to formulate news that will sell their platform. Our jobless bloggers are at it again. It could be that access bank paid for the sake rumours. Is access bank running out of cash now that Diamond Bank can even think of acquisition?